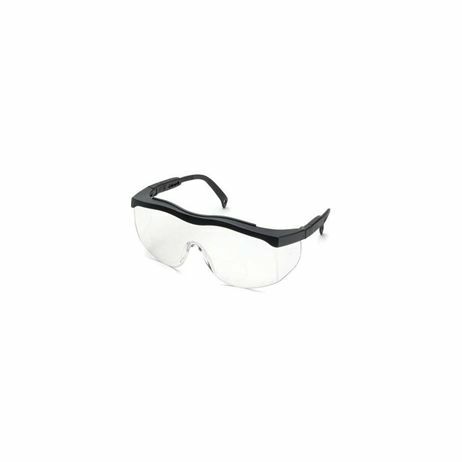 ELVEX® RX-100 Reader Safety Glasses Elvex RX-100 is the first reading safety glass with dual curvature mono-lens and integrated side shields. The glass is available in a wide range of diopters. The temples adjust to four different lengths, providing excellent comfort and flexibility. 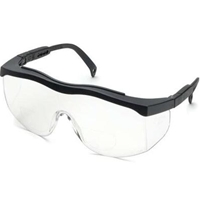 The lenses have integrated side shields to provide additional protection and comfort. The glass is ideal for any industry that has airbourne elements that reach individual's eyes. Construction, wood working, mechanics, and general factory or warehouse employment are just a few!